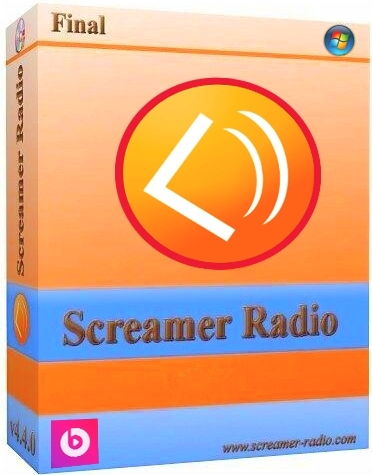 Screamer Radio 1.0.6644 + Portable » SoftLab - портал portable-софта! * Возможность записи "не сначала" - предыдущий фрагмент будет взят из буфера. * Прямая запись потоковых MP3 и Direct OGG Vorbis без потери качества. * Перекодировка OGG Vorbis в MP3. * Перекодировка WMA или AAC в MP3. Screamer Radio is a Internet Radio player which gives you access to more than 5,000 radio stations from around the world. Screamer Radio makes it possible for you to enjoy Internet radio, which, unlike its traditional alternative, provides a wider choice of music and fewer ads. Moreover, Internet radio is easier to use and extremely convenient. · Recording buffer: start recording in the middle and still save the entire song! · Direct MP3 Audio stream saving, no loss of quality! · Direct OGG Vorbis stream saving, no loss of quality!